With brands like Yahoo, HuffPost and TechCrunch, Verizon Media transforms how people stay informed and entertained, communicate and transact. We create new ways for partners around the world to connect. We create media loved by 1 billion fans, and tech that delivers experiences that make each of them feel like 1 in a billion. We are technologists, engineers, entrepreneurs, and innovators. Not many companies get the chance to change the industry and the world through innovation. We do. We know teamwork enables us to serve our customers better and faster. Diversity and Inclusion are more than just words for us. A focus on diversity brings great minds here. An emphasis on inclusion keeps them here. These are the hard-and-fast principles guiding how we build our teams, cultivate leaders and create a company that’s the right fit for every person inside of it. We have a global, multicultural following—we want to reflect that inside our walls. We seek out fresh talents who bring the unique influence of their backgrounds, identities and experiences to bear on building the future of our company. 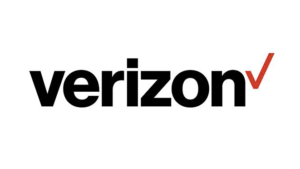 Click here to visit Verizon Media Group’s career page and learn more.